PEOPLESKILLS digital edition (IT 23 CD) comes in a 6-panel digipak. PEOPLESKILLS analog edition (IT 23 LP) is double vinyl with lyric sheet. We believe this is Perspects' strongest music to date. With his unified PEOPLESKILLS concept, Perspects shares new directions and ideas. This is demonstrated by his heavy vocal presence (sometimes in a Bryan Ferry vs. Brian Eno sort of way) and the incorporation of live drums into his sequenced sound, hinting at a whole new sound and approach. This is apparent in his live performances, which now feature a full drum kit alongside live vocals, analog synthetic drums, and sequencing. The multirelease PEOPLESKILLS COMPLEX was conceived at Perspects Soundstudio, Detroit and executed at the ITHQ in Ann Arbor, Michigan from 2003 to 2006. PEOPLESKILLS LP: Analog version is the original Twelve -- four sides, three seamless tracks apiece. IT 23 LP. PEOPLESKILLS CD: Digital version is edited for komprehensive konsumer konvenience. Eleven of the original Twelve, plus select EP cuts. IT 23 CD. MOTORSKILLS EP: Supplemental album side, includes remix. Analog. IT 24. SKILLSET:PARTS EP: Instrumental utility prequel, includes remix. Analog. IT 20. 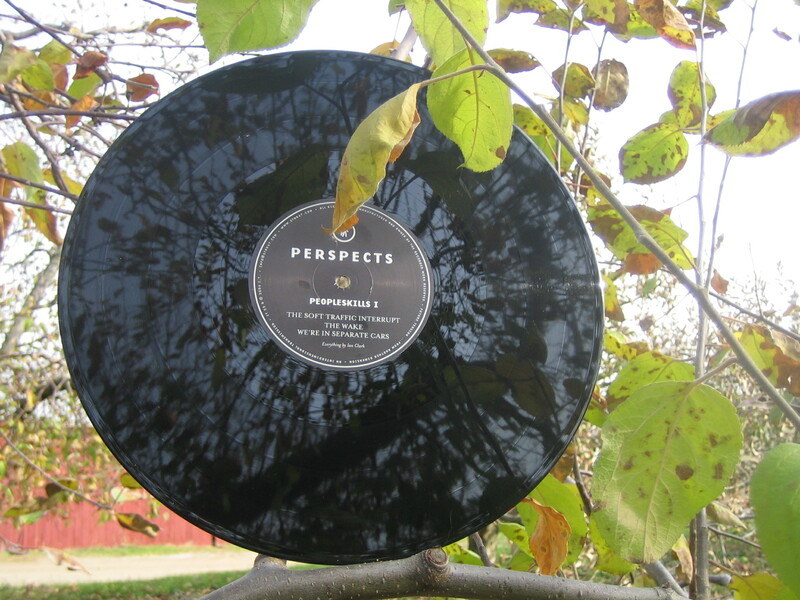 Following an extended incubation period, the new Perspects experient has decided to fruit. Having endured the harshest of conditions, it has proven itself extremely hardy. The Peopleskills Complex is an evolutionary snapshot. An artifact of memetic warfare. A surviving mutation of the arti-starchetype in Global America Incorporated. The sound is a nuderection for Perspects. The unrelenting Twelvish seamlessly careen from murky atmospheres to wry pop to spazzy synth-rock to shrunken fourfold headscapes. A sinister affair.